A lot of times on this trip I talk about checking things off my bucket list. It is true, I have a lot of items on this list and I am doing incredible things. However, if you held a gun to my head and made me pick a top 10, an African Safari would most certainly make the list. As a side note, the idea that on a big trip you will cross off all or most of the items on your bucket list is complete nonsense. Here’s why, for every item you accomplish you add two or three more. You will meet people who tell you about a place you hadn’t heard of before. Soon it becomes a must. A bucket list never ends, but I know when I die I can say I gave my dreams a real effort. In fact, I flew from Dubai to South Africa and then from South Africa to Paris for two real reasons. 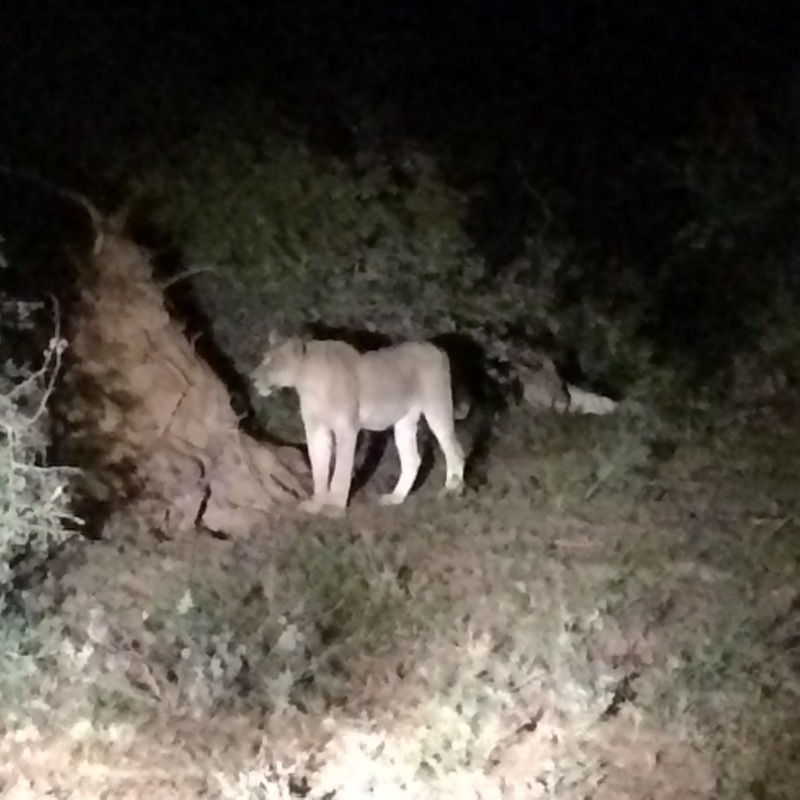 First and foremost to go on a safari and chiefly to see a lion in the wild. You may remember that I am fond of big cats after my nine-day trek to find a jaguar in Brazil. The second reason was to dive with a Great White Shark, but that is a whole different post. Let me put to bed a popular misconception right away, you don’t have to be filthy rich to do this. Yes, it is more expensive than many activities but it doesn’t have to be $8,000 a person. Of course it can be if you want a luxury experience but are you there to see animals or be pampered? 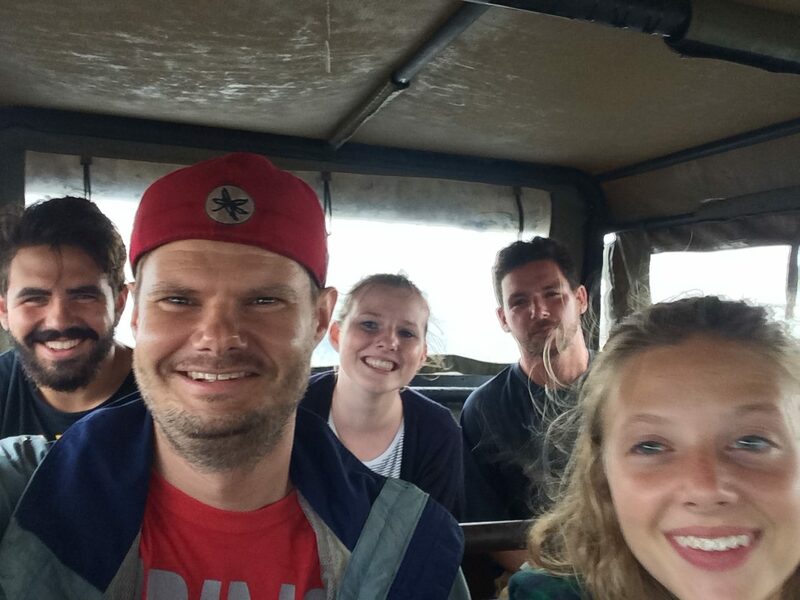 I did a six day “camping” safari with a company called Viva Safaris. 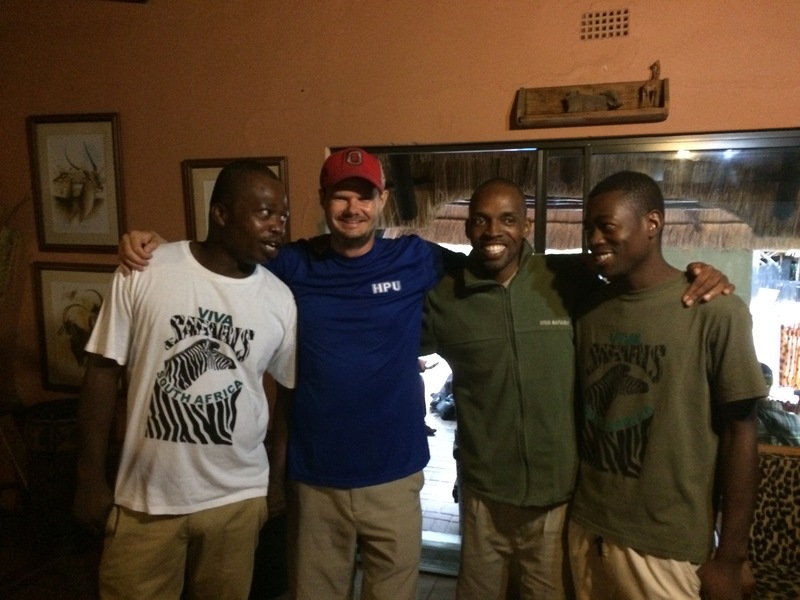 It included breakfast, dinner a bed, five game drives (two at Kruger National Park), two bush walks, and transfers to and from Johannesburg. All this for only $645. The first two nights were in a lodge and the next three in a tent. Not the tent you are thinking of. One with concrete floors, electricity and a lockable door. Was it completely sealed? No, but there was a mosquito net that worked great. That is all well and good, but what about the animals?!?!? 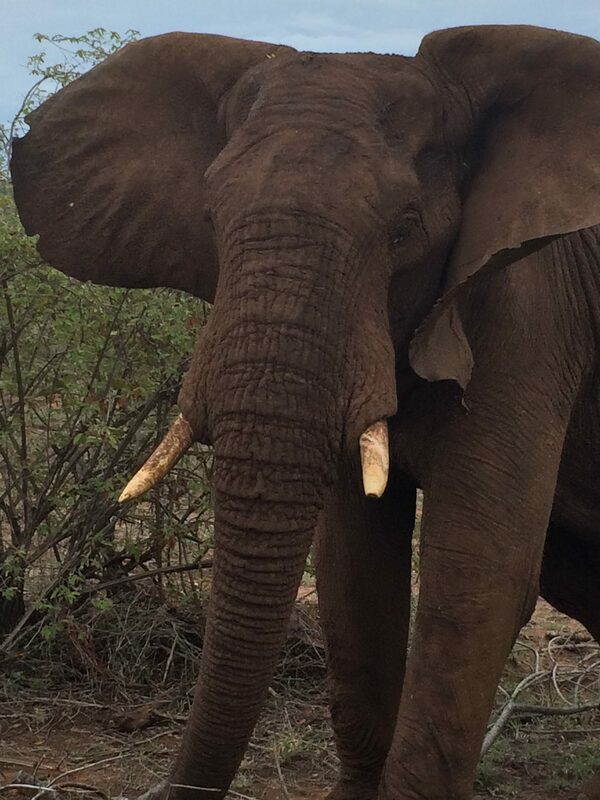 The goal of most safaris is see the “big 5.” These are the most dangerous animals in Africa to hunt on foot, of course we weren’t hunting and weren’t on foot but this old list remains the gold standard. They are the African lion, Cape Buffalo, African Elephant, Black or White Rhino, and African Leopard. Our group was very lucky that we saw all of them by the second day. Of course there are many other interesting animals such as the hippo, giraffe, crocodile, zebra, several types of antelope, wildebeest, snakes, spiders and everything all the way down to the Dung Beetle. 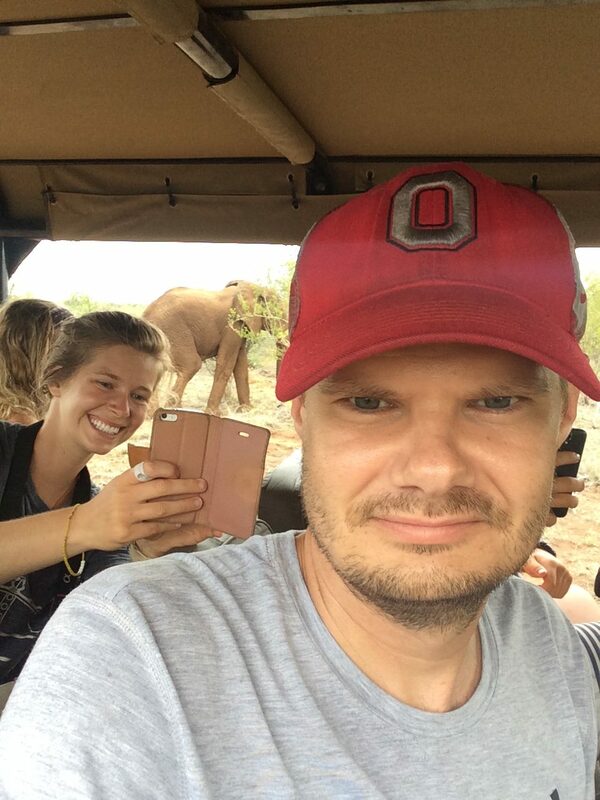 In the next days, I became a type of safari snob as I had seen so much. I no longer even turned my head for elephants and giraffes, much less antelope. 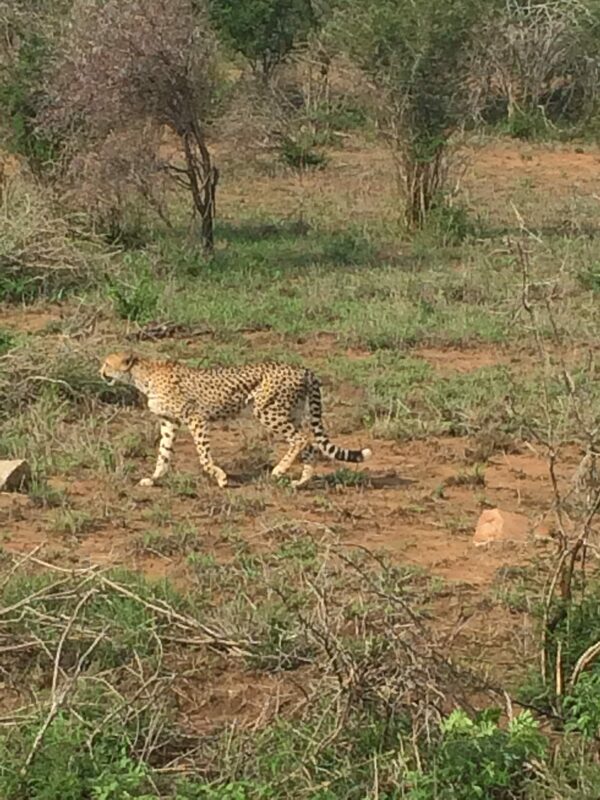 The additional time gave me a chance to look for some of the more rare animals such as the cheetah and wild dogs. Also, I could never get enough of the lions and leopards. 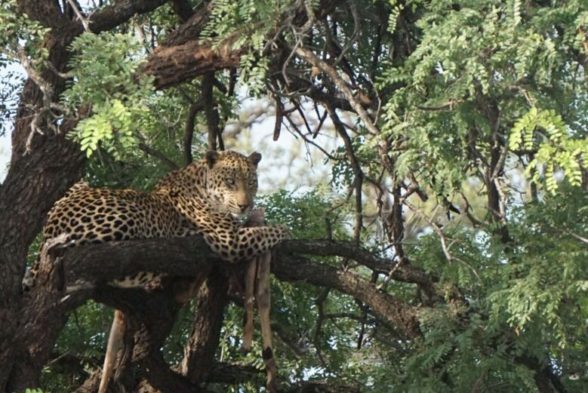 The highlight of the trip was seeing a leopard, in a tree, eating an Impala. At one point it looked up, straight at us, face bloody with an expression like, “why are you watching me eat?” The nature was raw, we arrived on a scene where a lion had just killed a baby buffalo. It was kind of sad but that’s the game out here. It is an unforgiving place. 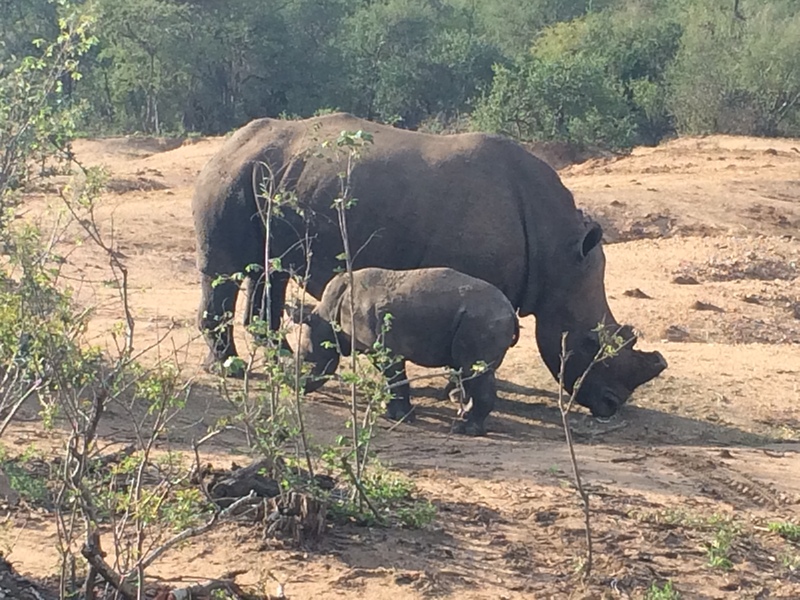 The first morning were there we heard that the night before a poacher killed a rhino, an ultra endangered animal. In turn, he was shot in the back by security forces. At that time he was in critical condition in the hospital, I remember rooting that he die. That probably makes me a bad person, but I’m fine with that. I also enjoyed the camaraderie with the other travelers and the guides. There were few, if any, people that I didn’t like. My group consisted of seven college-aged friends and me. It could have turned out horribly if they cliqued up but they accepted me into their group and we ended up hanging out during the nights when there were no structured activities. I couldn’t have asked for a better situation. Most people booked only three or four days while I booked six. After the third day the main guide would always ask me in the morning. “Mr. Curry, you are STILL here?” and then flash a huge smile. My travel resume is extensive. I’ve seen a lot and done a lot. That six day period tops all others. No question in my mind. If you’ve been thinking about it just do it. You won’t be disappointed.